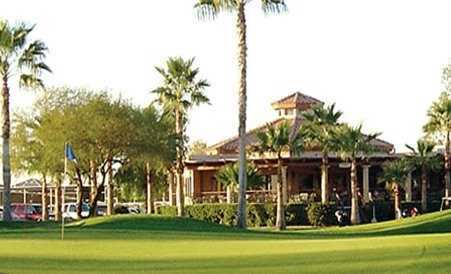 Pueblo El Mirage Golf Club is a course that will appeal to a wide range of skill levels. 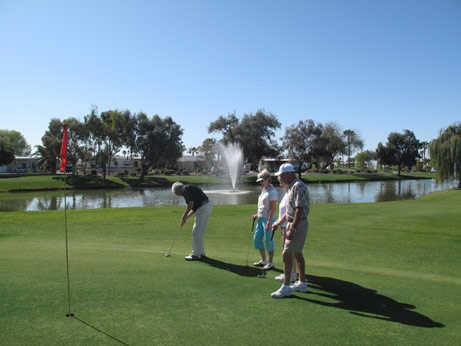 Designed by U.S. Open Champion Fuzzy Zoeller, the course has enough challenges to appeal to high handicappers but it's player friendly enough for the casual weekend golfer too. The par-72 layout is a manageable 6,600 yards with a few holes that long hitters will enjoy. 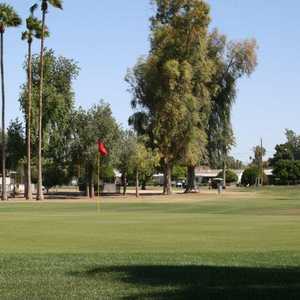 The layout features long, rolling fairways and gently undulating greens that demand accuracy. Sparkling lakes dot the landscape, coming into play on a few holes. There are also a few strategically placed bunkers lurking along the greensides. The terrain has some subtle but tricky contours but most of the holes are fairly straightforward. 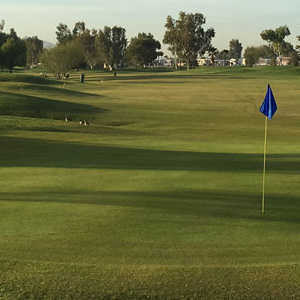 There are a few challenges but Pueblo El Mirage Golf Club is forgiving enough for beginners to get some good practice.